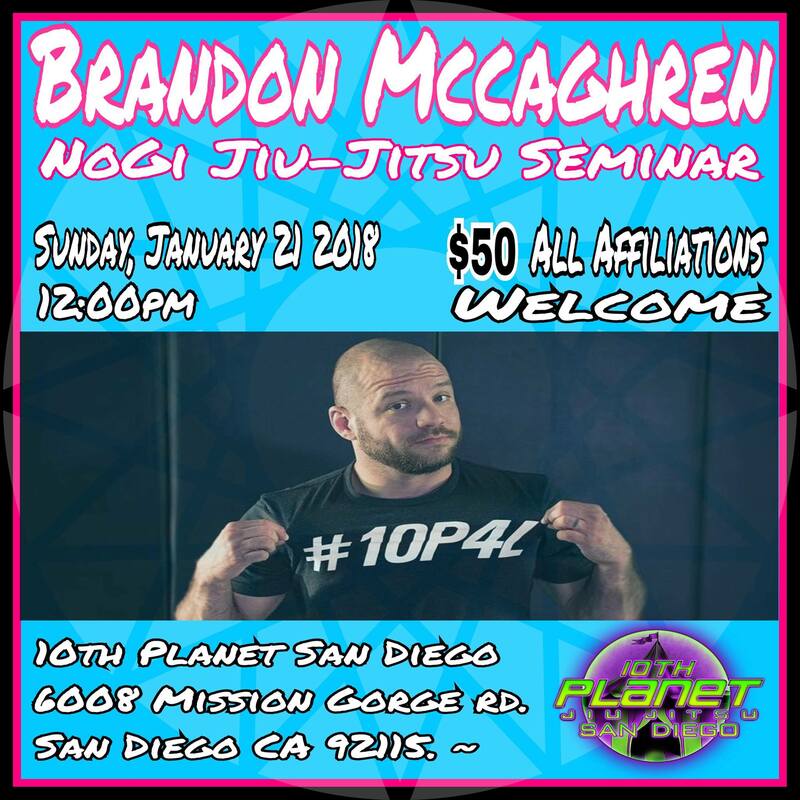 With the new year here, we’re excited to announce that Brandon Mccaghren will be teaching a seminar at 10th Planet San Diego on Sunday, January 21st at 12pm! Everyone is welcome, regardless of school or affiliation. Space is limited. Sign-up in person (6008 Mission Gorge Rd) or call 619-282-5855 to reserve a spot. Cost is $50.